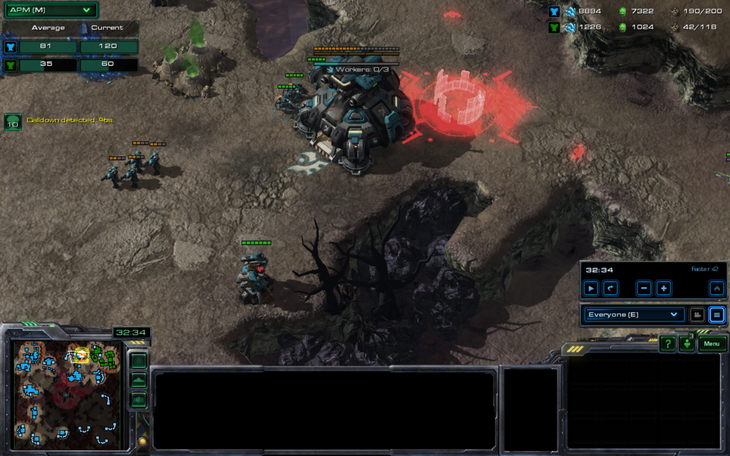 I'm trying to teach my brother how to play sc2. 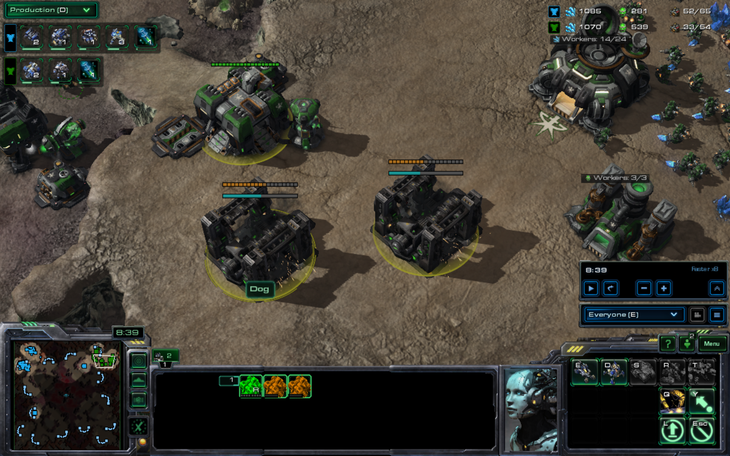 He played some on his own (and in 2v2s) before I tried teaching him. His first lesson was today, and we discussed how to attack move and macro more effectively. He's a lot better than I thought, so I gave him a little challenge. 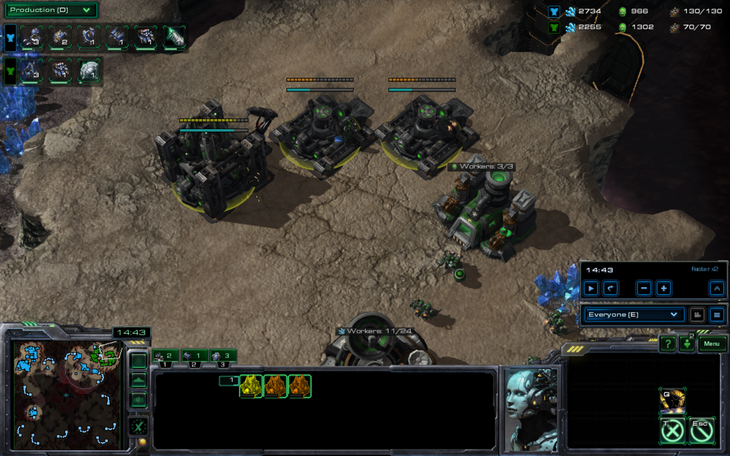 I specifically challenged him to a TvT where I made no units besides marines and SCVs and played at 50% health. 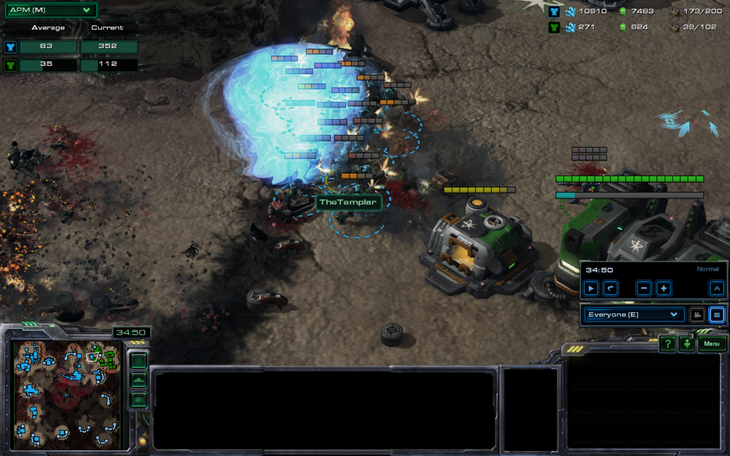 He agreed, and said he would beat me with mass hellions. I wonder how that went? 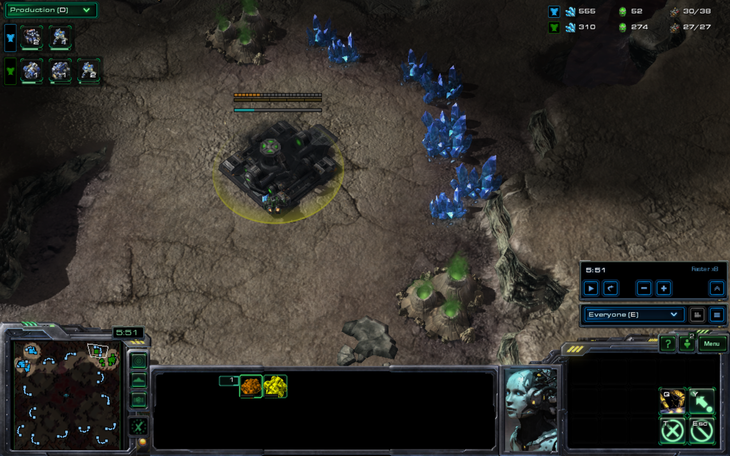 He spawned in the top right of red city and I spawned in the top left. 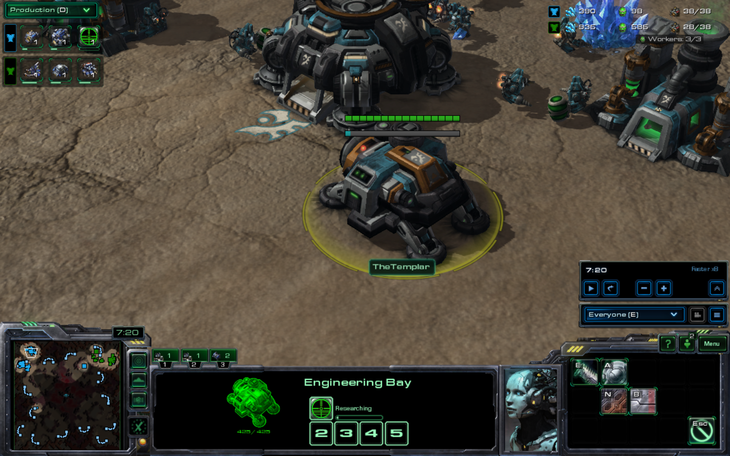 Naturally, I'm a bit nervous about his pledge to go mass hellion, especially as he can build other units. 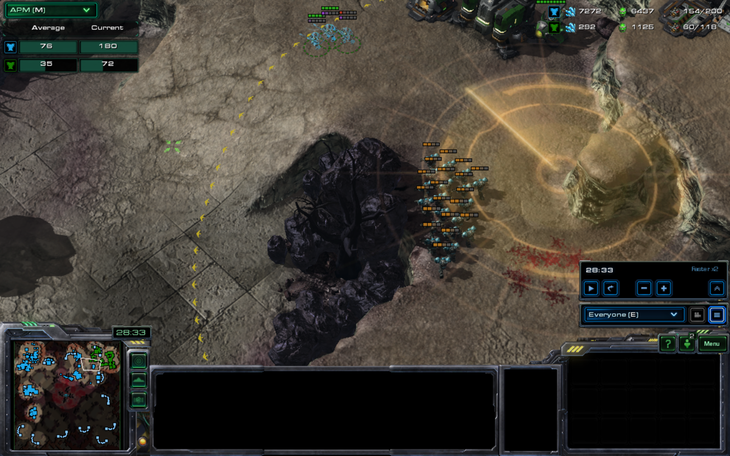 His macro was decent for a complete newbie, so I would have to bust out the special tactics to guarantee a victory here. I started out by being Flash with a 14CC. 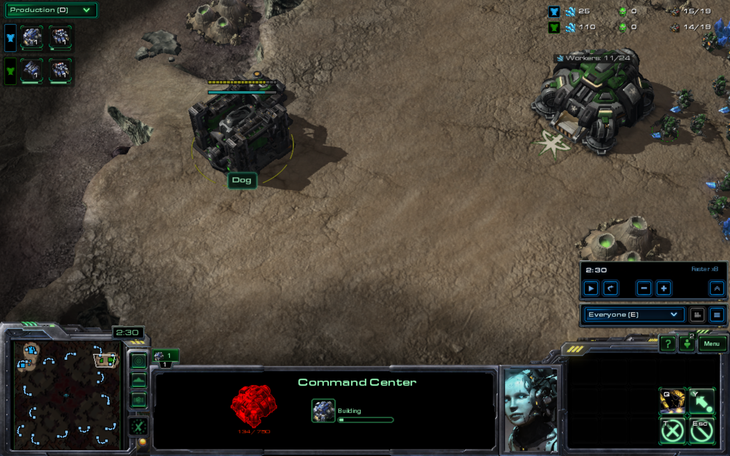 He went for a 1 barracks expand of some sort, with extra gas. 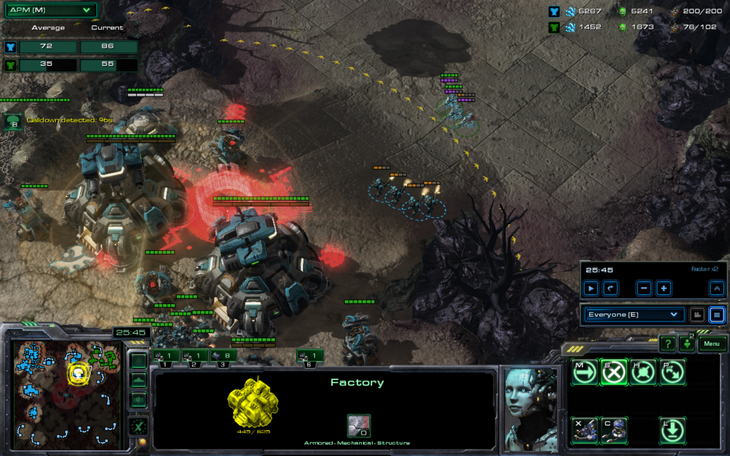 His factory and CC started at about the same time. 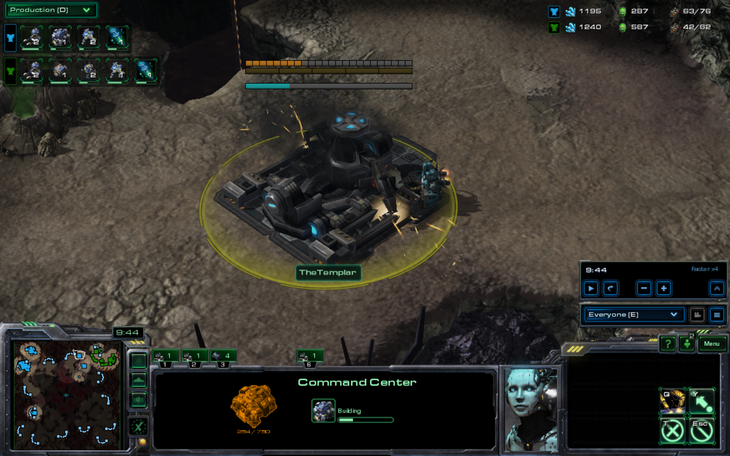 He usually does this sort of build order where he gets a fast starport and doesn't use it until he makes a few banshees and suicides them into your base. Therefore, he's used to a fast factory. Mwahaha! 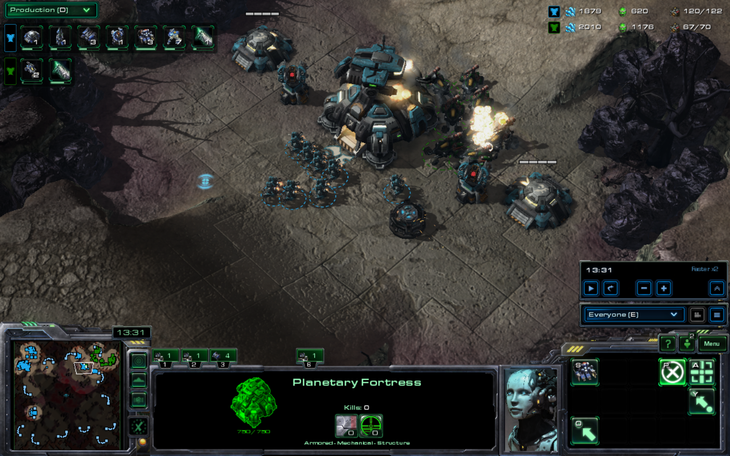 I'll proxy a base in order to use photon overch- errr.. planetary fortresses..
his general lack of scouting to proxy a command center! And at home, I was building an engineering bay! There's actually no reason for this. He's bringing in the fury of hell…ions. 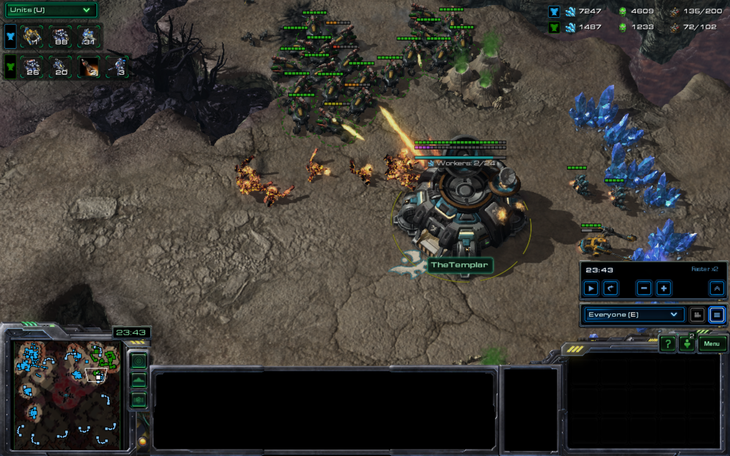 Now, he was planning on using widow mines to kill large groups of marines. Unfortunately for both of us, he burrowed one right in range of my first PF. 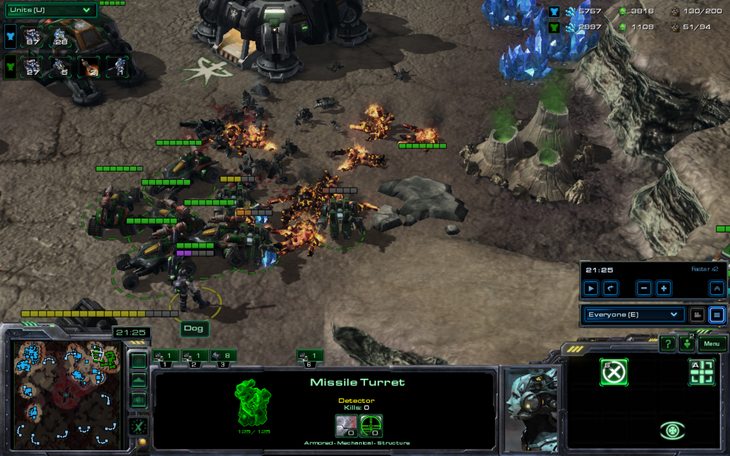 His thought process: "Must kill marines, must kill- oh what the heck?" Now, I will give him credit for this: he's pretty good at figuring out what the problem is, and finding a possible solution. He immediately sent multiple marauders and a few hellions to kill my PF. 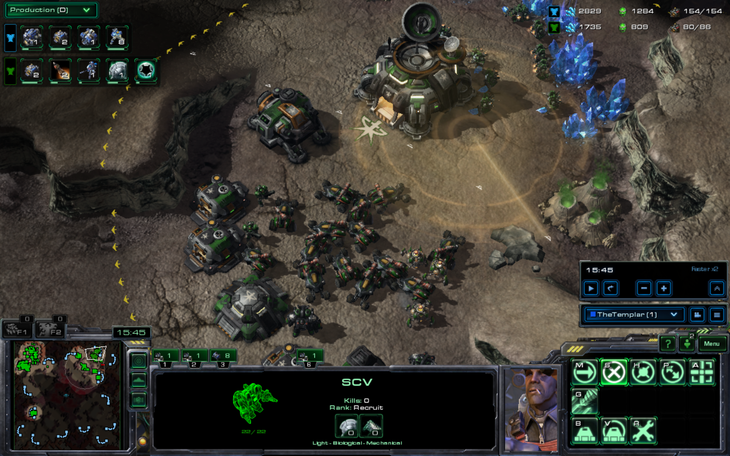 Hero SCVs hold, so now he decides to build more units while sniping my SCVs with his many, many hellions. Unfortunately, his hellions are sort of squishy so they die pretty quickly to my PF and 2 bunkers. "Enough is enough!" he decides. His bewilderment changes to desperation as he begins to unleash the ultimate weapon!!! This would make more sense if Flash did cool stuff like nukes. 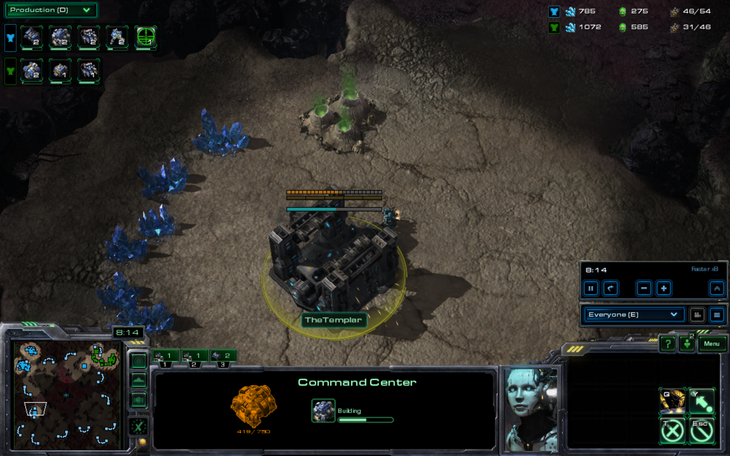 Having contained him, I decide to scan his natural and main base to see what he's doing. Yes, this is all very legitimate. Mass hellions, no problem here. This is a bit sketchy, actually. There are only two ghost upgrades!! Oh, nukes. Right. Well, I was nuked and had to give up my position, so I pondered at length what I could do in the face of this nuclear war. 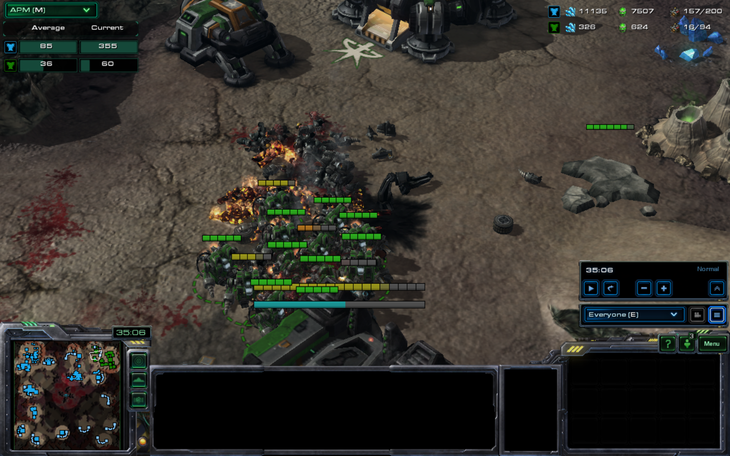 Meanwhile, he sent lots of hellions to kill repairing workers and damage my 750 health southern PF while he nuked it. He's pretty spot-on with his decision making here, except for suiciding hellions into PFs and not making tanks. Those hellions are all going to die. 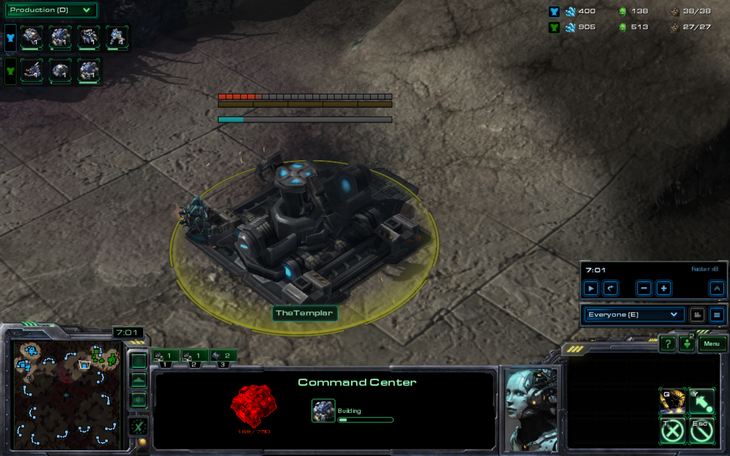 This game has quite a lot of scans considering there are no tanks. 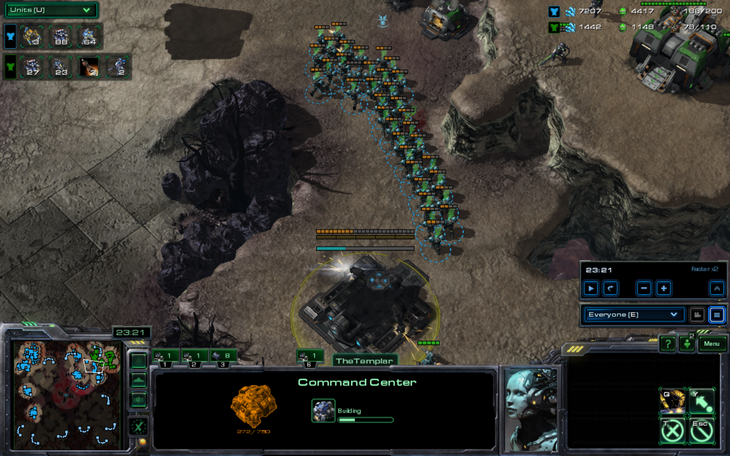 Meanwhile, I decide to go for a small poke with 113 marines. 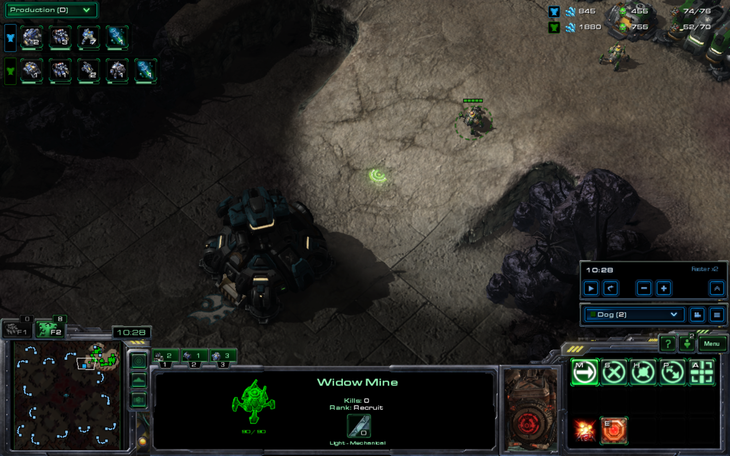 20 instantly die to widow mines. Marine split challenge didn't prepare me for this!! 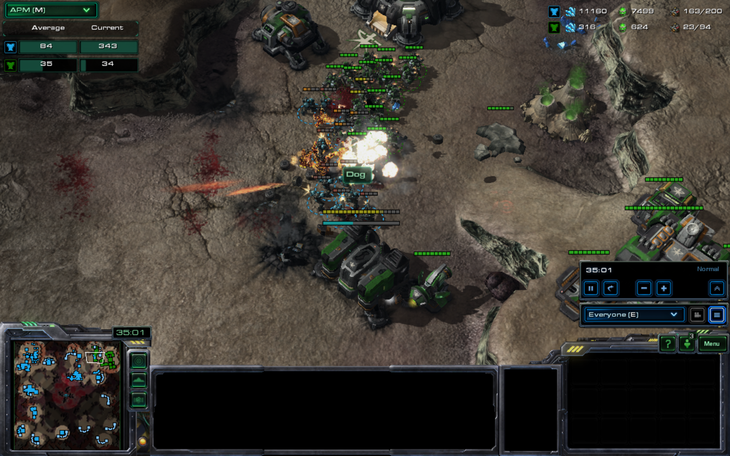 After stim, since I forgot combat shields, my marines all had 12 health, so hellions killed me pretty quickly. I do break into his natural expansion, but he manages to hold by pulling workers. He actually out-multitasked me for a minute, using the battle as a diversion to nuke my southern PF. 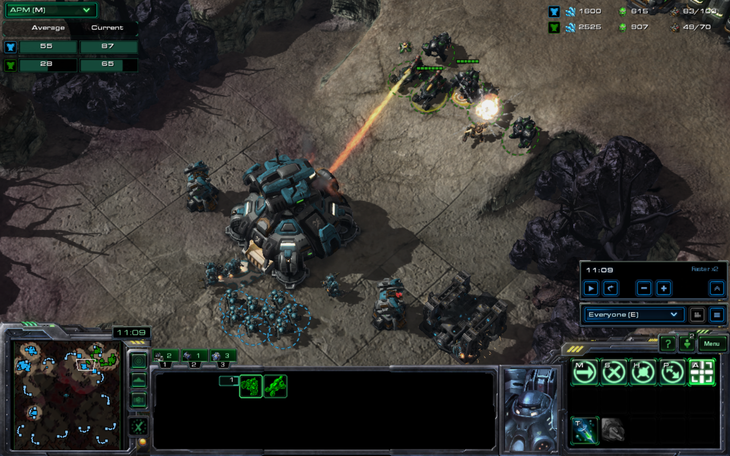 However, I rebuilt the CC and decided to buy time by going for another marine attack. This attack doesn't go particularly well. 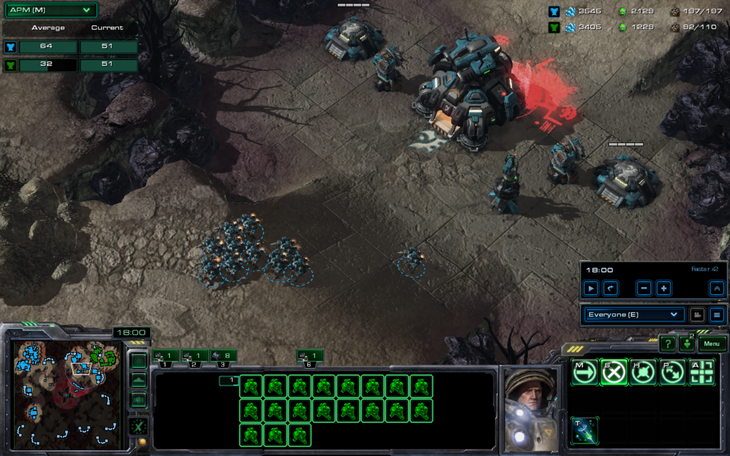 Even though he's way down in supply and contained on 2 bases, he does have one thing going for him- his units are a lot better. If he had tanks he might even have pushed out. 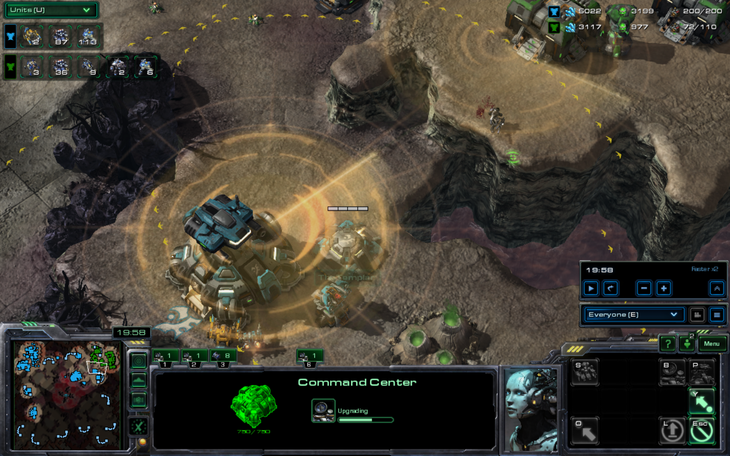 Even though it's hopeless, however, he continues to try everything (except tanks). He's like within 10-15 supply of the highest supply he's gotten to all game. 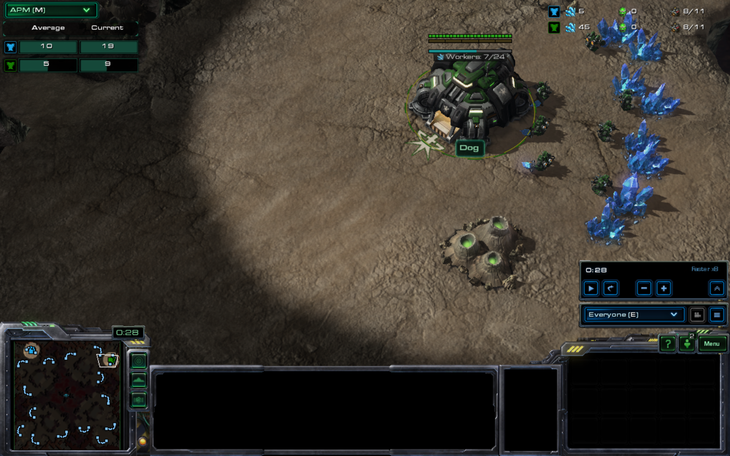 He goes for the base I have taken for him, because I guess I was sort of BM with that OC. 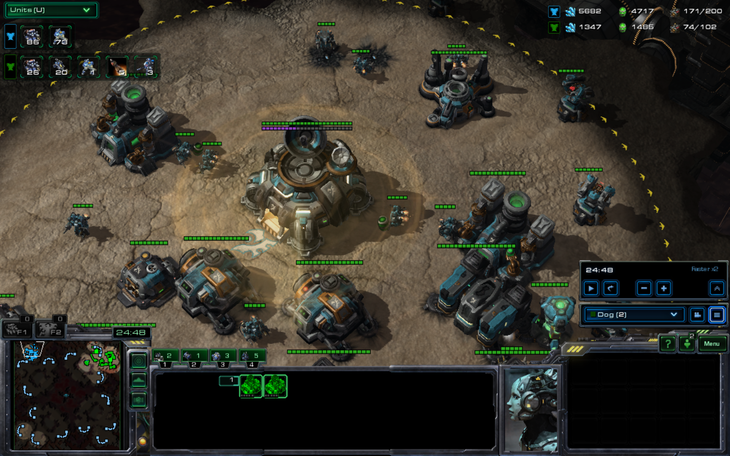 Meanwhile, he starts scanning, and finds my main for the first time all game!! I bet he was proud of that. 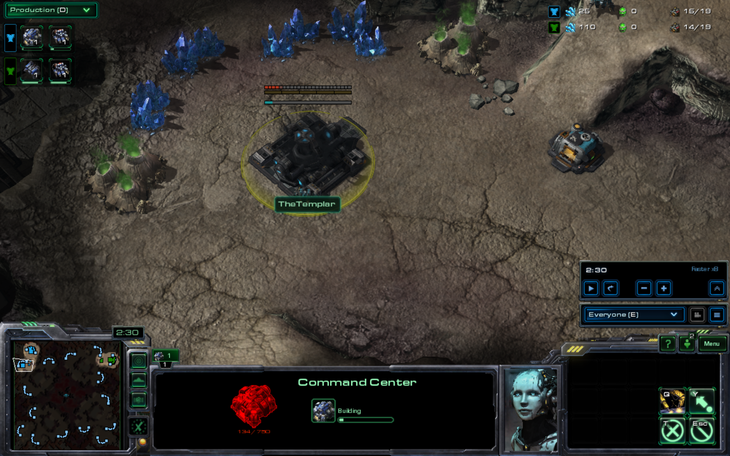 He tries to nuke my central platform, but I've prepared for this moment with marines in bunkers. 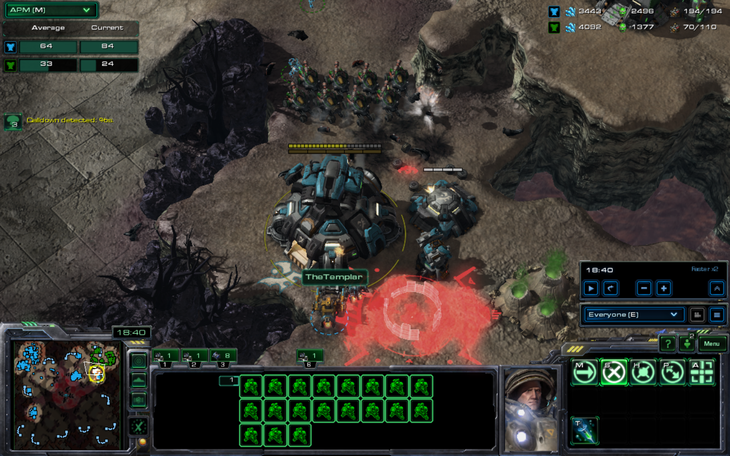 I decide to go for an attack, you know, to trade armies and prevent him from reaching critical mass. 49 supply in exchange for 6, pretty good trade for me. 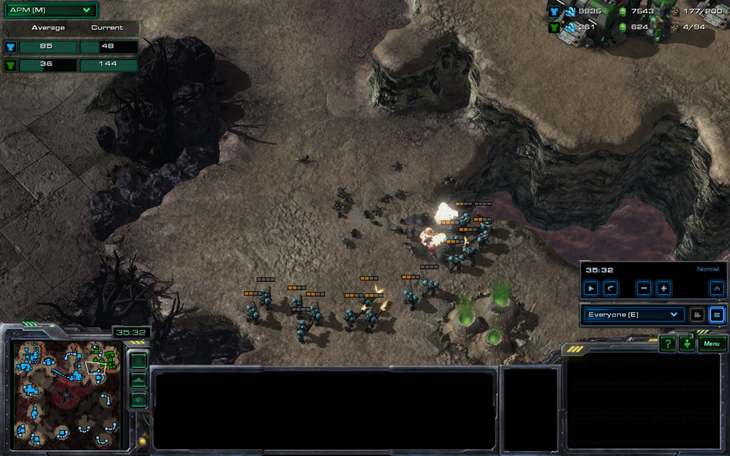 I try to take his third again and, this time, defend it with marines. Ok, I will admit this is slightly harder than I thought. Also much more bloody. 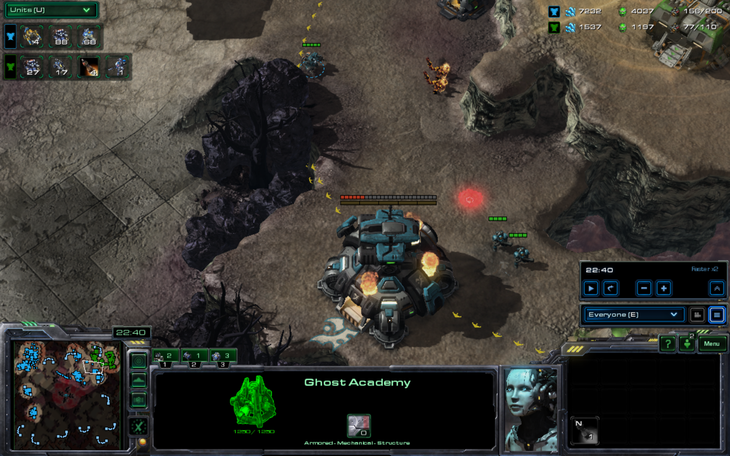 He tries to use ghosts to kill my leftover marines, as I reinforced and defended, but I scanned and killed the ghosts. 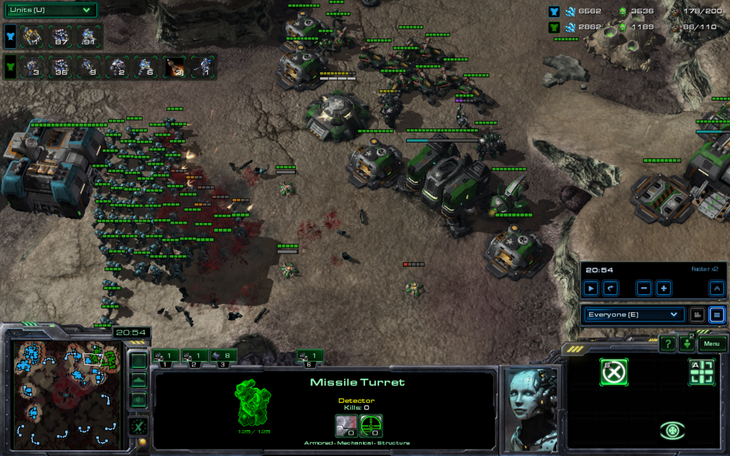 However, I had overextended and those marines died pretty badly. He finally breaks a small part of my epic contain and immediately takes a third base. Comeback incoming? Repair!!! I must make him use as many nukes as possible! 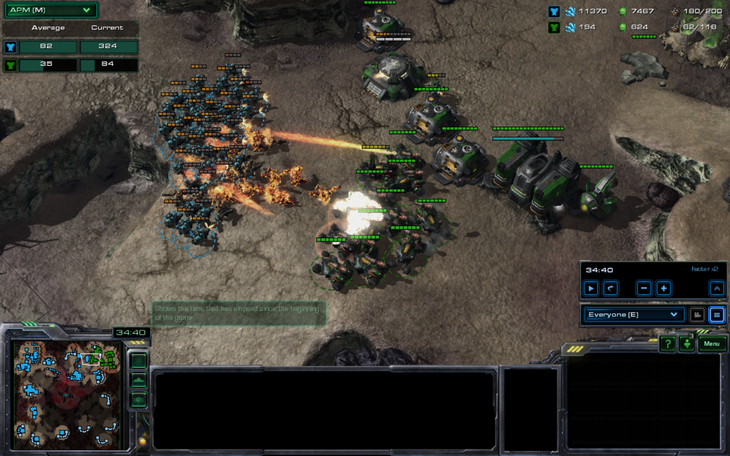 The third nuke landed, which killed my SCVs, as I was trying to get enough health to survive this nuke, and I succeeded!! 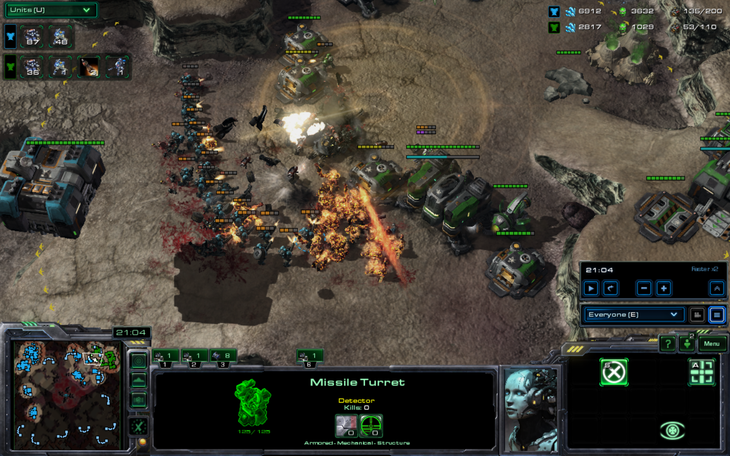 Unfortunately, the PF had 6 health and died nearly immediately after the nuke landed. 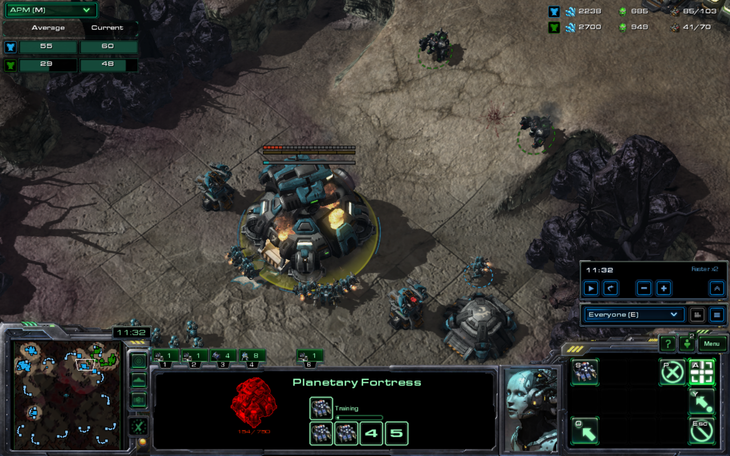 A bit later, I went for another marine push. He's been whittled down at this point despite his best efforts to break the contain and doesn't have enough hellions to hold this time. "Quick," he thinks to himself, "I must do something, and all I have right now is this ghost. I know, I'll EMP all the marines!" He is definitely related to me. 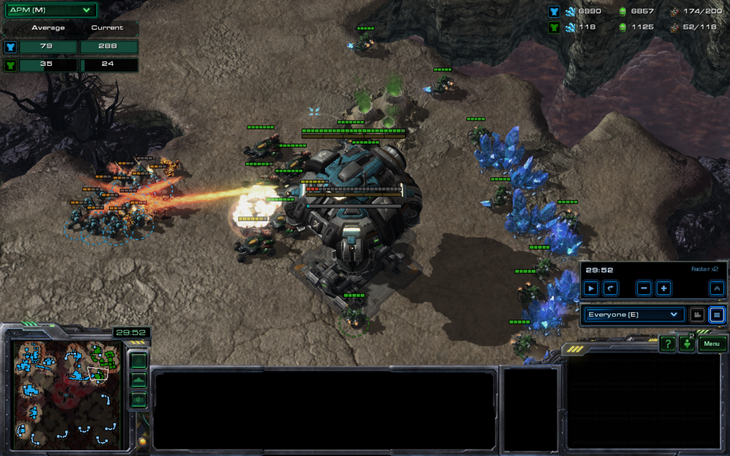 He pulls all of his workers and a few more hellions and somehow manages to hold. Why on earth didn't I research combat shields?? He knows at this point that he is finally pretty dead and decides to go for one last attack. 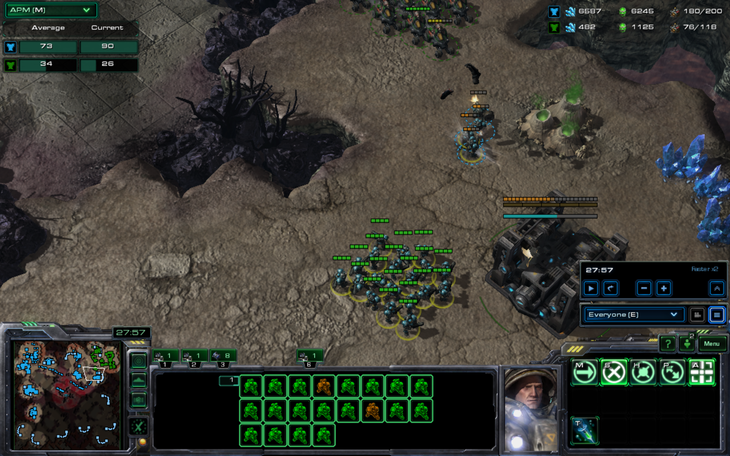 He pulls all of his workers, brings all of his units, and throws one last attack at me. Unfortunately, he doesn't have any units. He played a lot better than I expected. 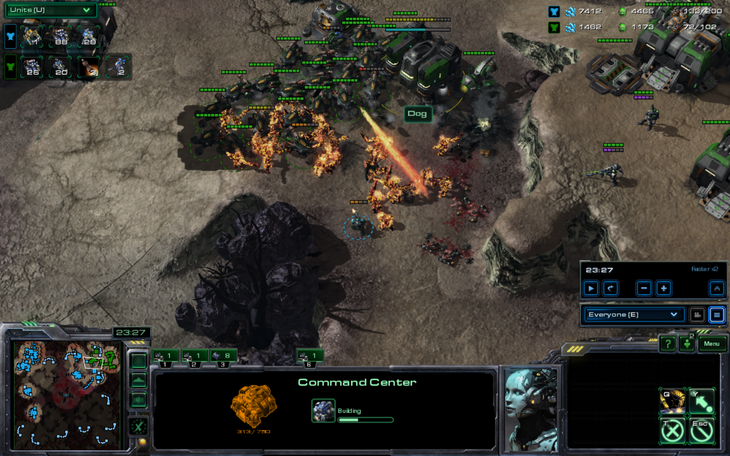 His decision making was pretty good considering he's barely ever played and he actually made units the whole game, only ever accumulating a few thousand minerals and gas. 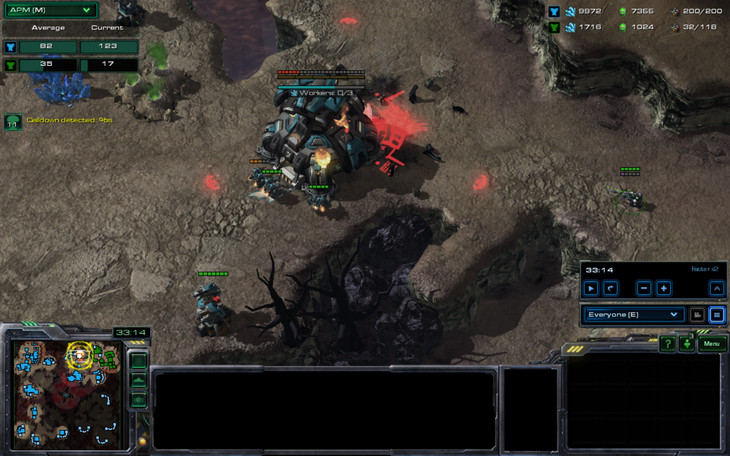 His main two problems in this game were his hellion suicides into my PFs and his lack of tanks. If he had done those, he might have even won. 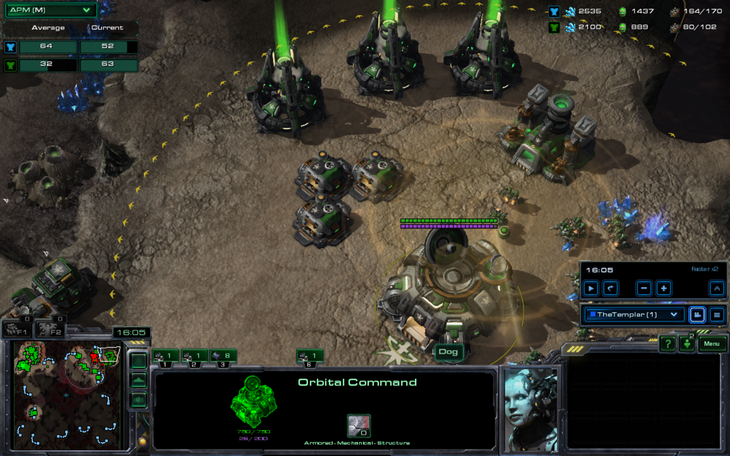 I'm mostly teaching him how to macro (and yes, I macro horribly in the game, because I made just marines instead of spending based on what I had and what I wanted) and micro, he's pretty smart in other areas compared to those. 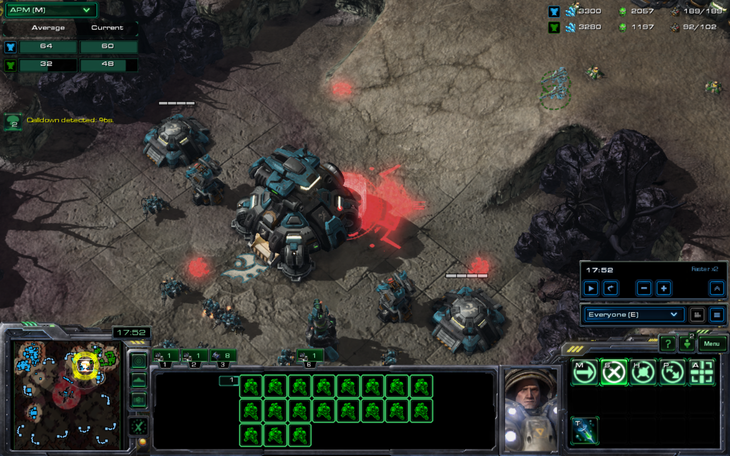 I did exactly this kind of thing with my cousin when I used to play, like limiting myself to only build certain units and handicapping myself. 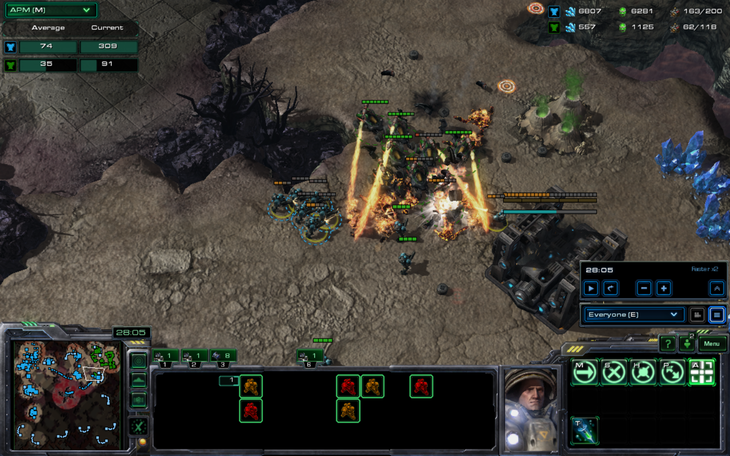 The best thing I remember doing to handicap myself was by building only DTs. 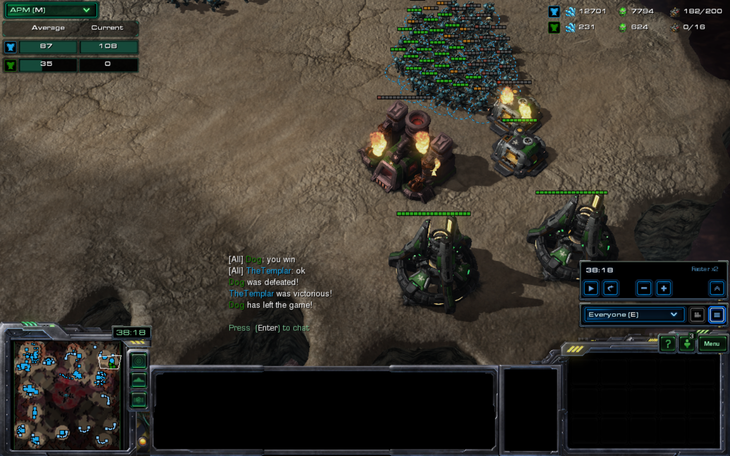 That was fun, especially since he sucked with detection lol. 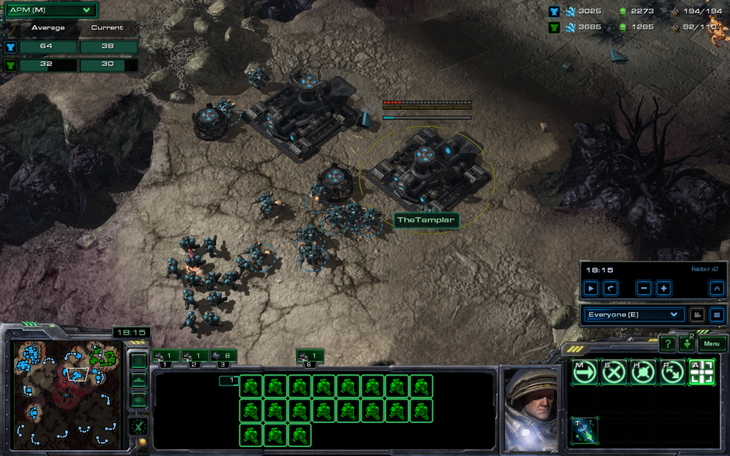 He'd lose his whole army in seconds and think he misplaced it haha. I lost to a silver league player who played without honor. That does not count. 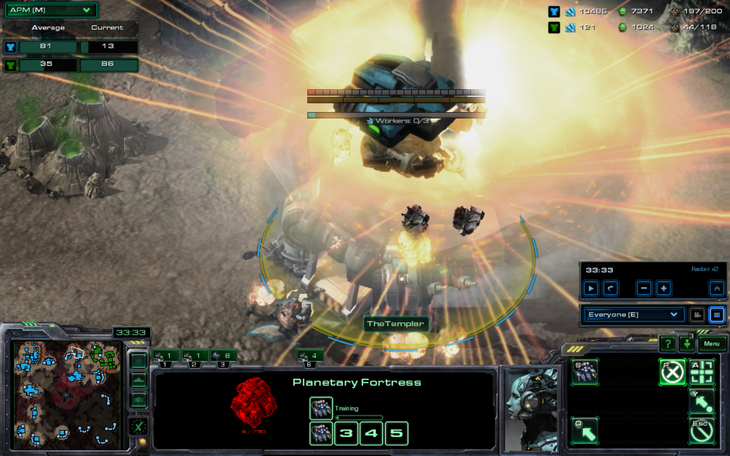 You used OP planetaries against your own brother? Wow. Do you realize the discrepancy in technologic advancement between Ibiks and Crucio Shock cannons? It'll take him years.